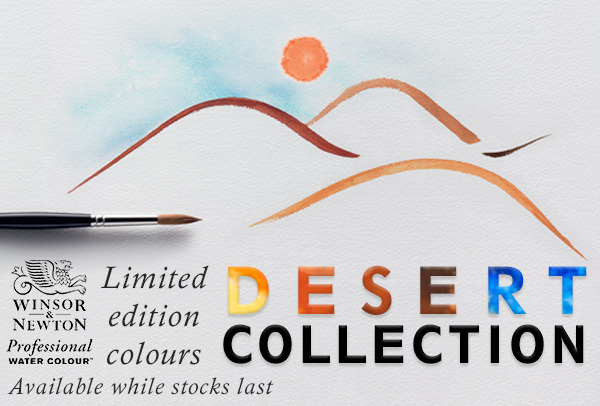 New Limited Edition Professional Water Colours Inspired by Deserts around the World. Introducing six exceptional and unique colours to our Professional Water Colour range. Rich, exuberant hues that encapsulate the dramatic, intense palette of desert landscapes, from the blazing yellow sand dunes of the Sahara to the deep red and brown landscapes of the Australian outback and American southwest. We have combed the world for the latest pigment innovations, working hand in hand with artists to create the final selection. The resulting colours are vibrant, rich and exquisite as well as being extremely lightfast, brilliant and unrivalled in their performance. Dramatic and beautiful in their own right, the new colours are exciting additions to any water colour palette. Together, they work to embody the rich and evocative colours, so typical of desert landscapes. The new Professional Water Colours are: Phthalo Sapphire, Transparent Orange, Indian Red Deep, Yellow Titanate, Gold Brown and Dark Brown. Available for a limited period only. 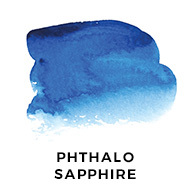 An intense, vivid deep blue, Phthalo Sapphire is outstanding when applied at full strength for brilliant and cloudless desert skies but equally beautiful when mixed with other colours thanks to its high transparency. 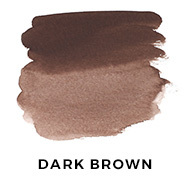 Try mixing with the new Dark Brown to create dark, intense shadows. 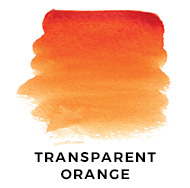 Phthalo Sapphire becomes even more dramatic when juxtaposed with its complimentary pairing, Transparent Orange Transparent Orange is a vibrant, strong and lively orange veering easily between a primary and an earth colour. Extremely bright and intense, this clear, red-leaning orange is like the blazing hot desert sun at midday. Both its masstone and undertone are beautifully appealing yet very different, providing strong reds when used thickly with little water and turning orange when thinned. A dark and deliciously rich maroon-brown. Excellent for recreating the deep red earth of the Australian outback. Light to handle, and highly transparent, it is also an exquisite mixing colour. Mixing with Transparent Orange creates beautiful, deep reds but it can be equally exciting when mixed with blues, violets and all warm colours. 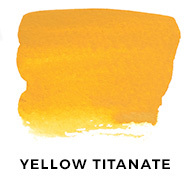 Yellow Titanate is a rich, exceptionally lightfast, strong yet subtle yellow. Earthy and warm – it is perfect for representing the sandy hues of desert dunes. Its opacity makes it dense and sturdy, retaining its glowing character from full strength to subtle tints. A granulating pigment, it can also create beautiful textures and subtleties in the landscape. 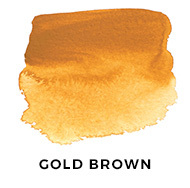 A musky and mellow, yellow-gold brown, Gold Brown is intensely opaque, perfect for depicting the heavy, dense desert landscape. Subtle and smooth, it is also a great mixing colour. 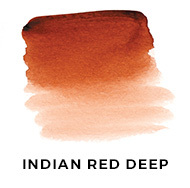 Combine it with the new Dark Brown and Indian Red Deep to create deep and dark shadows and mixtures. Soft, earthy and natural, Dark Brown has a sun-beaten yet smooth and silky appearance. Opaque and dense, it is excellent for deep, chocolatey, long, desert shadows found at the last light of day. Another great mixing colour, mix with the new Phthalo Sapphire to create even richer and deeper darks.